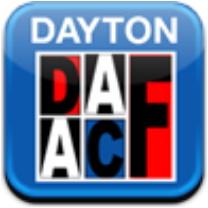 Be apart of keeping Dayton African American Cultural Festival Alive. 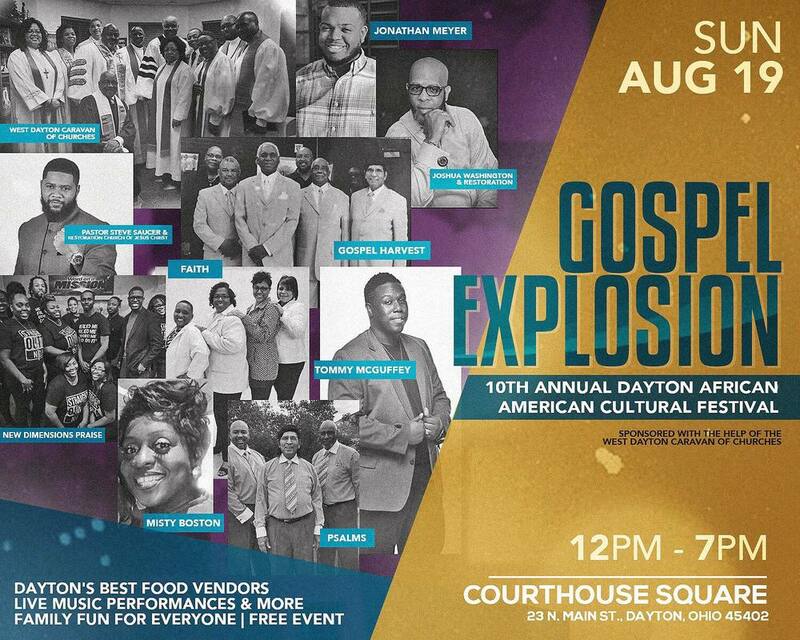 Gospel, Jazz, R&B, Blues, Hip Hop, Dancers, Live Performances & more! Island Park - 101 Helena St. 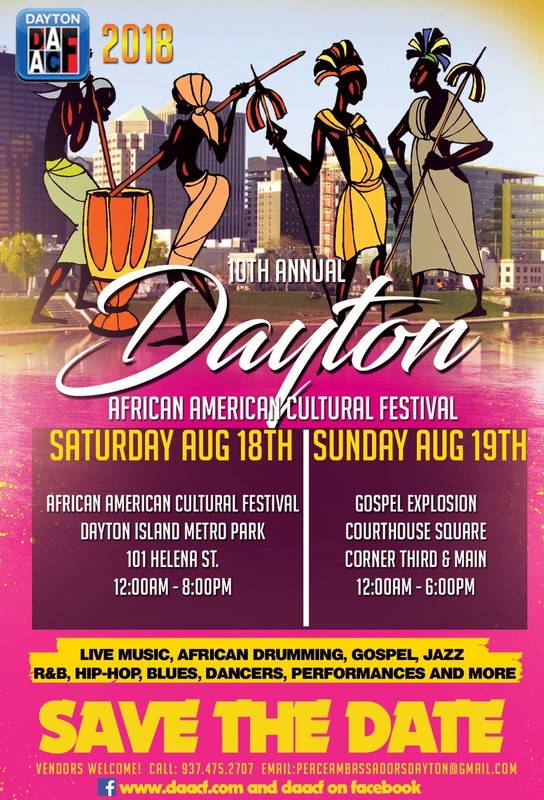 The Annual Dayton African American Cultural Festival is a two-day, city-wide family event to bring the richness of the African American experience in the Dayton and surrounding communities. 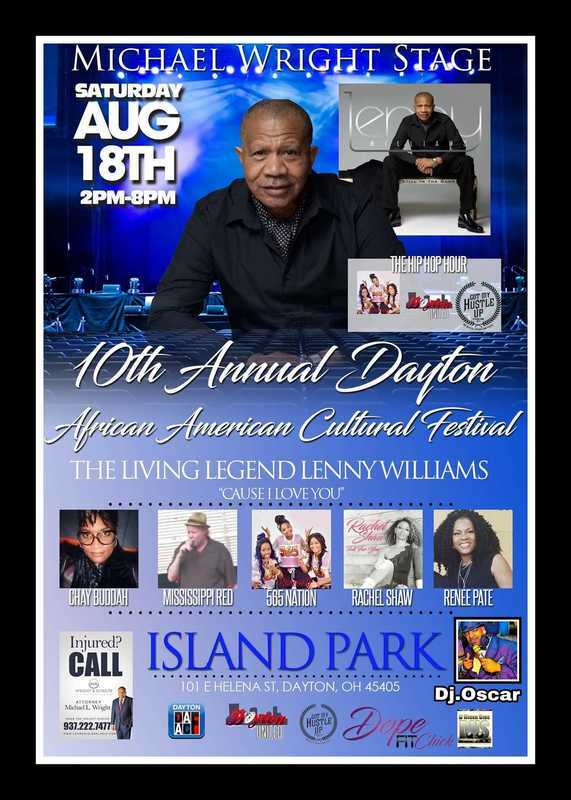 * Music (Live R&B, Gospel, Hip Hop, Jazz, Blues performances). 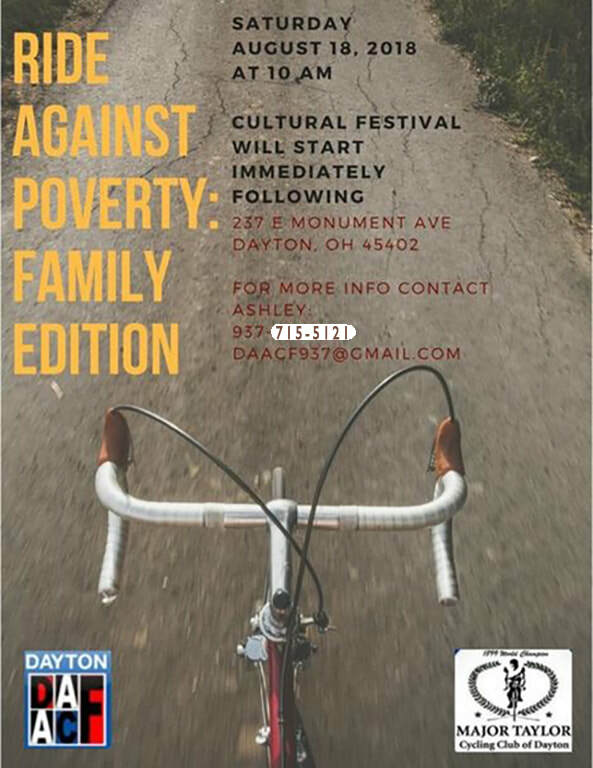 There will be health care (screenings), merchandise and food vendors. 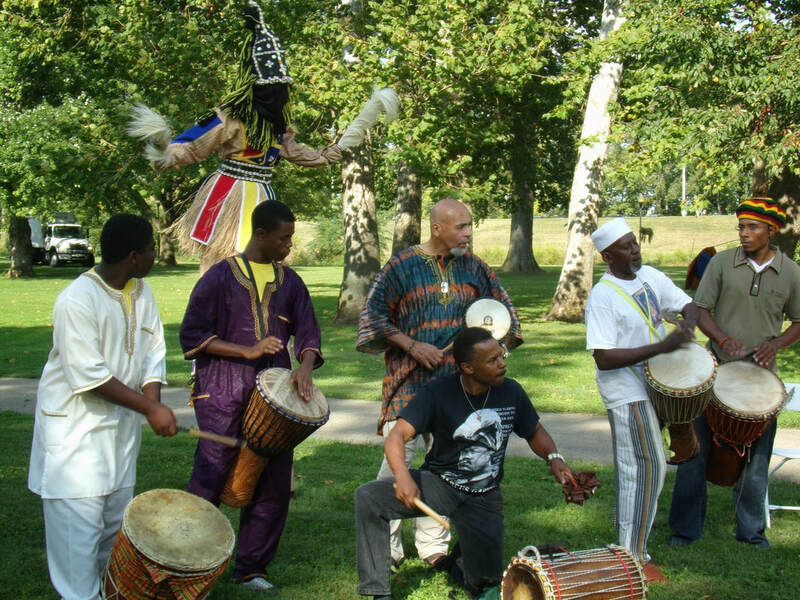 Diverse people will be brought together in celebration. We're asking everyone to DONATE $5.00 or more today! click on the Donate Button below!